Yard House, which will occupy 8,500 square feet of space, is a modern American restaurant which features the world’s largest selection of draft beer. In addition to Yard House’s signature and extensive beer selection, the restaurant features a broad menu of American favorites and globally-inspired flavors, from salads, street tacos and grilled burgers to seafood, steaks and ribs. Yard House is also known for its classic rock music boasting a library of 5,000 songs, making it a go-to dining and socializing experience. PREIT malls continue to evolve alongside consumer spending patterns and we are pleased to enhance one of our top-performing assets with leading dining and entertainment concepts, further strengthening our portfolio. 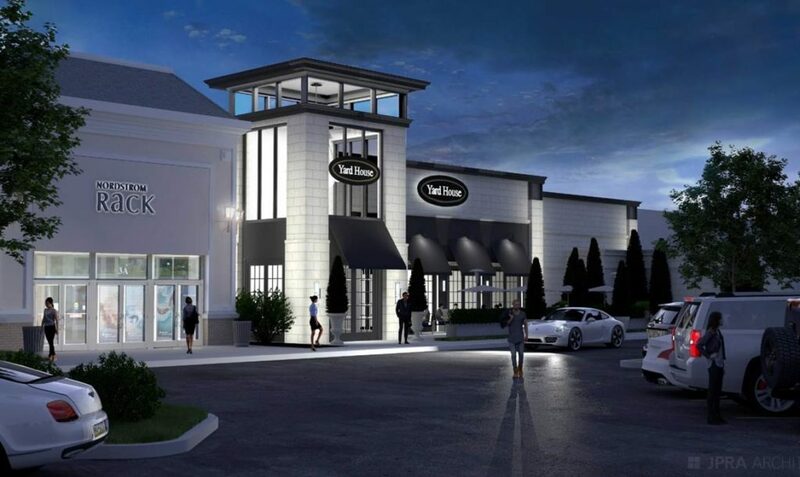 Yard House brings a new energy to Willow Grove Park, one that elevates the consumer experience and will extend mall visits. This transaction underscores PREIT’s commitment to transforming the identity of its properties into destinations for social experiences through the addition of a diverse mix of tenants. As spending patterns have shifted toward experiences, PREIT has incorporate dining and entertainment offerings as key pillars in its remerchandising efforts and has increased the space leased to dining and entertainment tenants by nearly 50% since 2012. This press release contains certain forward-looking statements that can be identified by the use of words such as “anticipate,” “believe,” “estimate,” “expect,” “project,” “intend,” “may” or similar expressions. Forward-looking statements relate to expectations, beliefs, projections, future plans, strategies, anticipated events, trends and other matters that are not historical facts. These forward-looking statements reflect our current views about future events, achievements or results and are subject to risks, uncertainties and changes in circumstances that might cause future events, achievements or results to differ materially from those expressed or implied by the forward-looking statements. In particular, our business might be materially and adversely affected by changes in the retail and real estate industries, including consolidation and store closings, particularly among anchor tenants; current economic conditions and the corresponding effects on tenant business performance, prospects, solvency and leasing decisions; our inability to collect rent due to the bankruptcy or insolvency of tenants or otherwise; our ability to maintain and increase property occupancy, sales and rental rates; increases in operating costs that cannot be passed on to tenants; the effects of online shopping and other uses of technology on our retail tenants; risks related to our development and redevelopment activities, including delays, cost overruns and our inability to reach projected occupancy or rental rates; acts of violence at malls, including our properties, or at other similar spaces, and the potential effect on traffic and sales; our ability to sell properties that we seek to dispose of or our ability to obtain prices we seek; our substantial debt and the liquidation preference of our preferred shares and our high leverage ratio; our ability to refinance our existing indebtedness when it matures, on favorable terms or at all; our ability to raise capital, including through sales of properties or interests in properties and through the issuance of equity or equity-related securities if market conditions are favorable; and potential dilution from any capital raising transactions or other equity issuances. Additional factors that might cause future events, achievements or results to differ materially from those expressed or implied by our forward-looking statements include those discussed herein and in our Annual Report on Form 10-K for the year ended December 31, 2018 in the section entitled “Item 1A. Risk Factors.” We do not intend to update or revise any forward-looking statements to reflect new information, future events or otherwise.